Jimmy Chebat, benefactor of these pieces, proud father and member of the Nardin community, wished to show his appreciation for the education his two children are receiving at Nardin Academy Montessori. 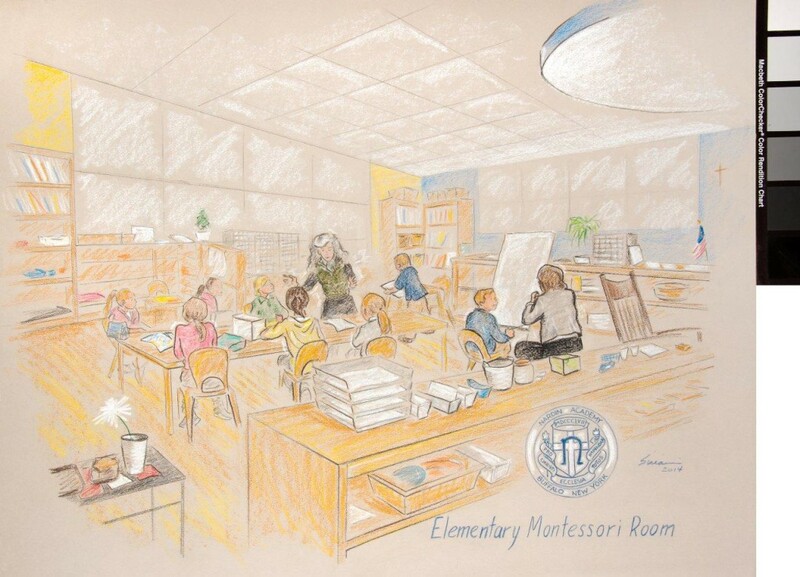 In an effort to do so, he originally commissioned Mr. Sirianni to work on live drawings that would capture each one of the four Montessori classrooms, primarily focusing on the rooms and their resources. After touring the Academy, both Mr. Chebat and Mr. Sirianni realized that providing a glimpse into the day to day activity in a Montessori classroom would be more difficult to do in a live setting than originally thought. 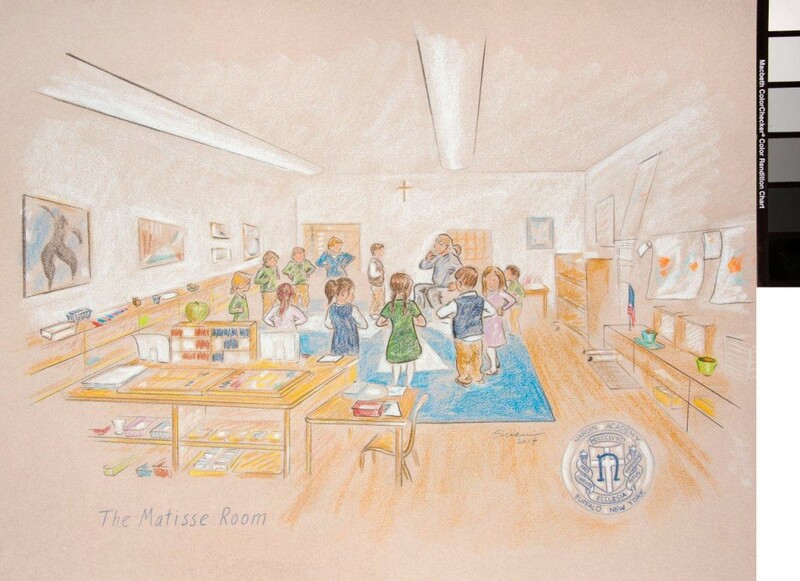 Unlike the drab, steady, and calm of the courtroom drawings Mr. Sirianni has done, the Montessori classroom is filled with activity, color, and energy. A photographer was brought in and Mr. Sirianni utilized the photos provided working to capture this high-spirited, constantly moving environment bringing it to life with pencil. 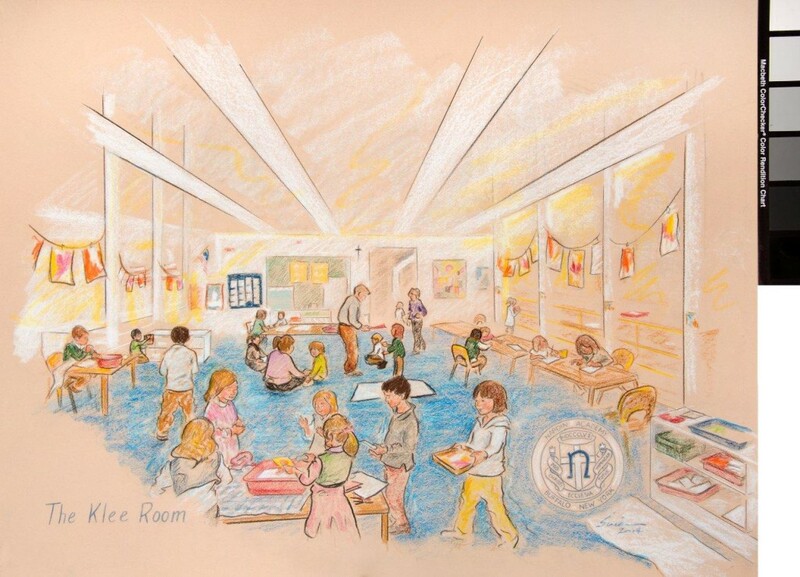 Each drawing allows you to see into the room and its resources as well as how the children interact within this environment on a daily basis. Innocence, light and life fill each drawing just as they do each classroom when the students are there. Some of the subtle yet distinctive features in each of the four drawings to be noted include the presence of a cross symbolizing faith and a flag symbolizing love of country. 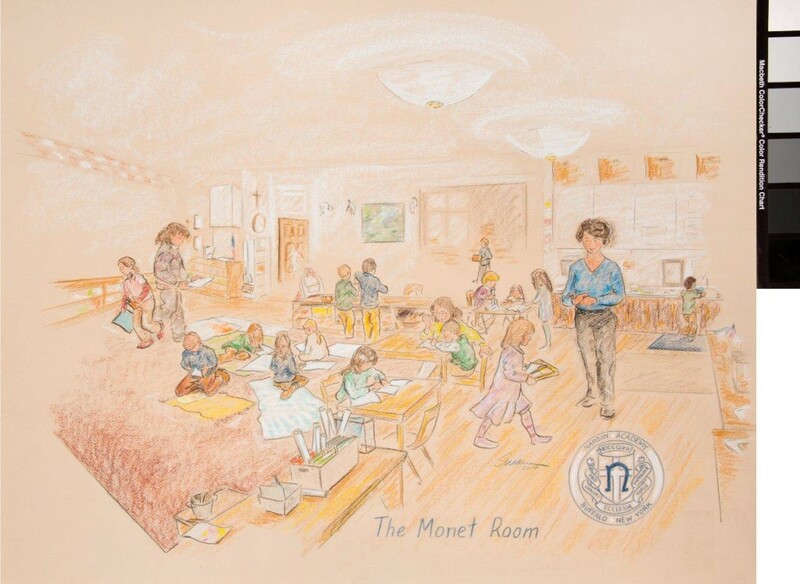 Additionally, in the three early childhood classrooms, a painting from by the artist representing the classroom name is depicted on the wall paying tribute to the artist. It is Mr. Chebat’s hope that you will see the character of the school itself and the attributes he sees being instilled in his own children as you view each piece…faith, family, country and community. backing as well as conservation UV filtered glass to protect the artwork from degradation.